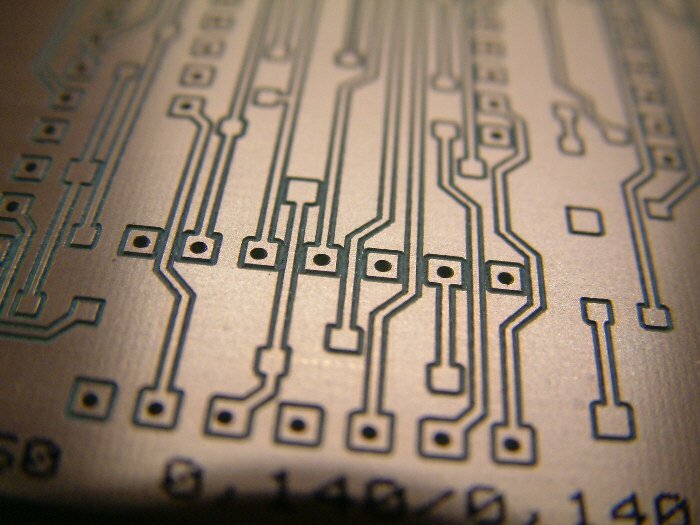 Milling and drilling printed circuit boards is comfortable with CNC machines. 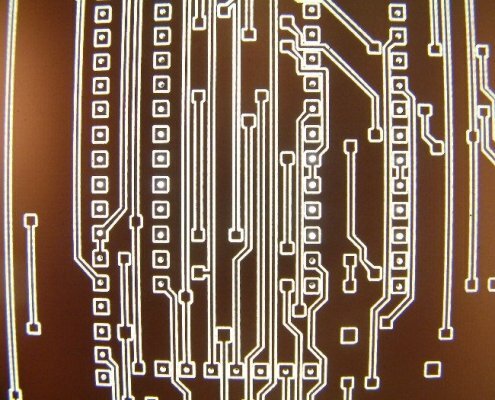 You only have to make a draft for example in the PCB design software Target 3001 and save the data as a .plt-file. 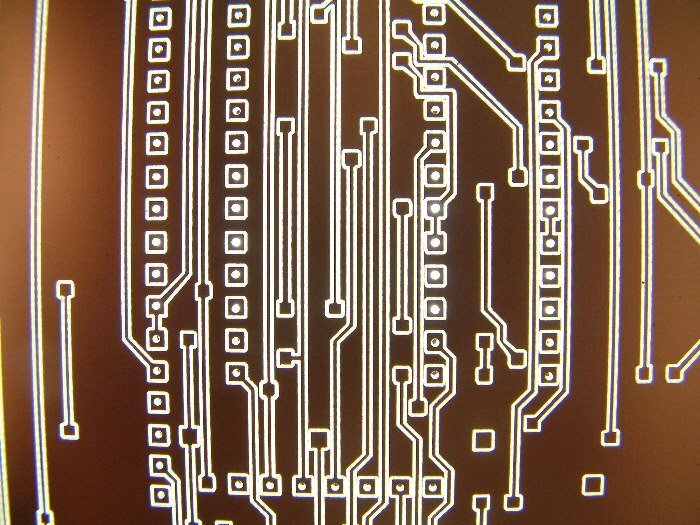 Then open the draft in the controller software Kinetic-NC and start machining the circuit board. 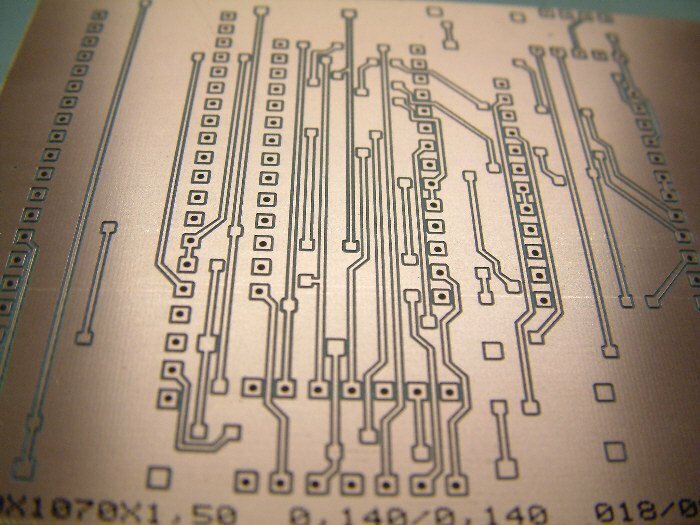 Perhaps you know which effort is necessary to etch circuit boards. The process is time-consuming, complicated, and requires a lot of practice. 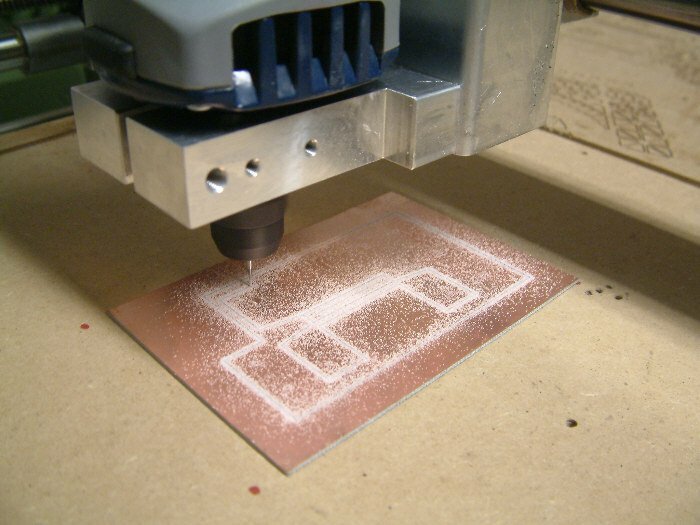 Apart from that, you have to buy a 3D printer and etching fluid, for example, iron chloride. 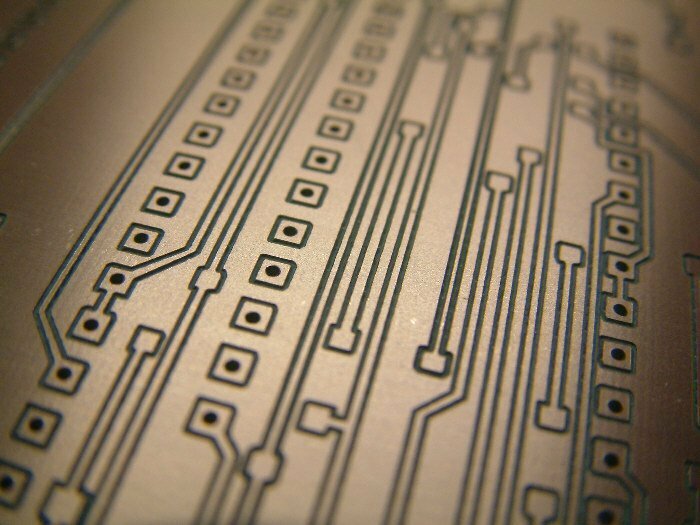 Instead of etching, you can mill the PCB tracks with one of our machines. 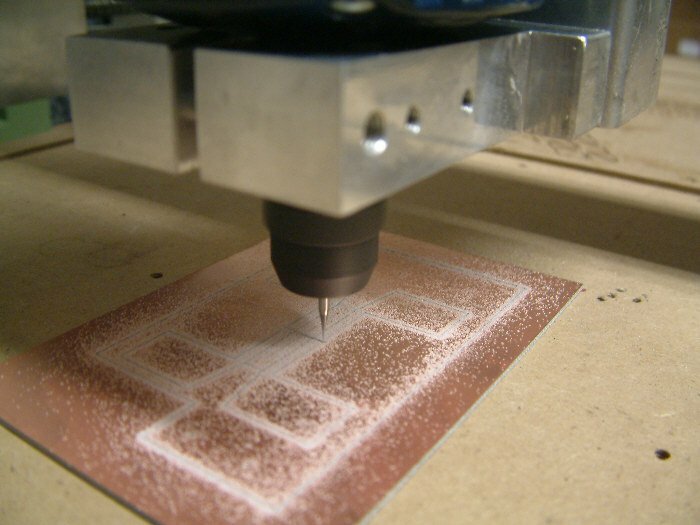 You only need a CNC router and the software Target 3001 for generating the tracks. 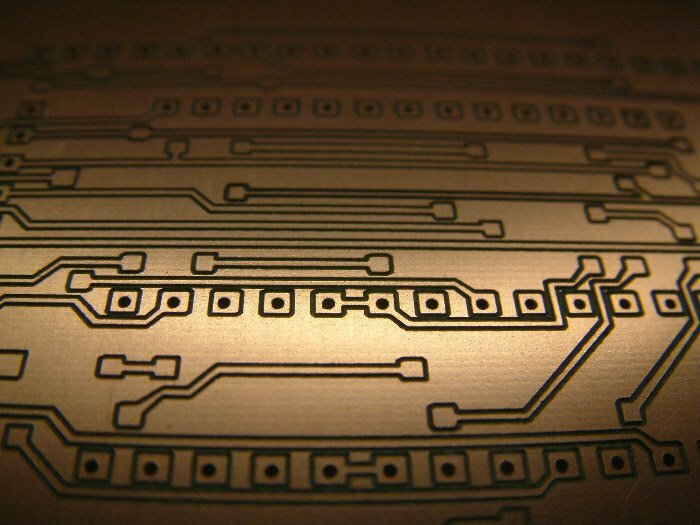 The manufacturing of the PCB tracks is very easy with our equipment, even in the serial production. 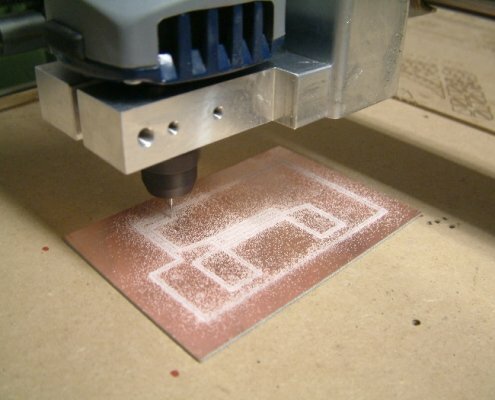 You can mill the tracks in small distances up to 0,1 mm – 0,15 mm effortlessly. 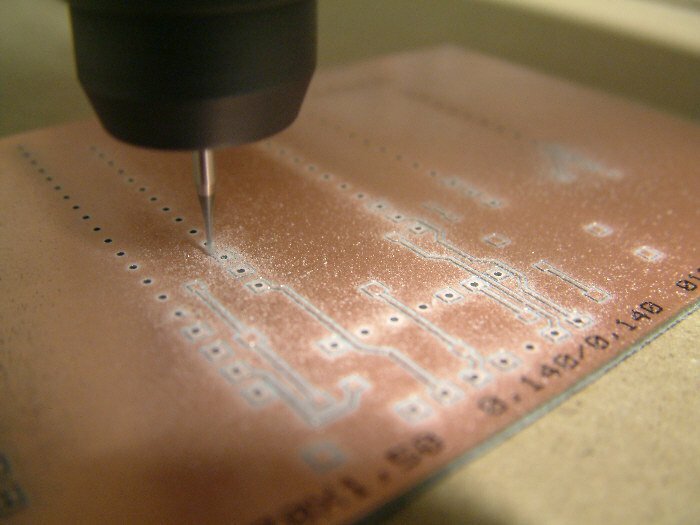 The PCB manufacturing works best when you drill and mill the circuit board without changing the CNC tool manually. 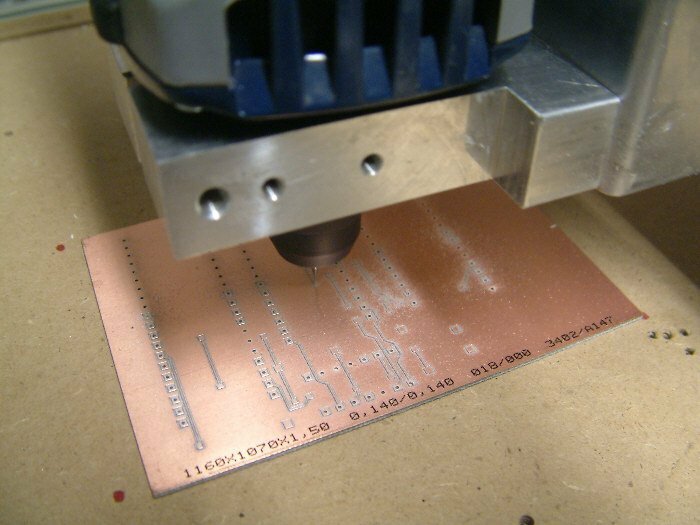 A tool changer enables you to work with drilling tools, milling cutters, and other tools in one operation You can choose if you first want to mill the circuit board and drill it afterwards or the other way round. No matter which option you choose, the software Target 3001 gives you already support during the file export. 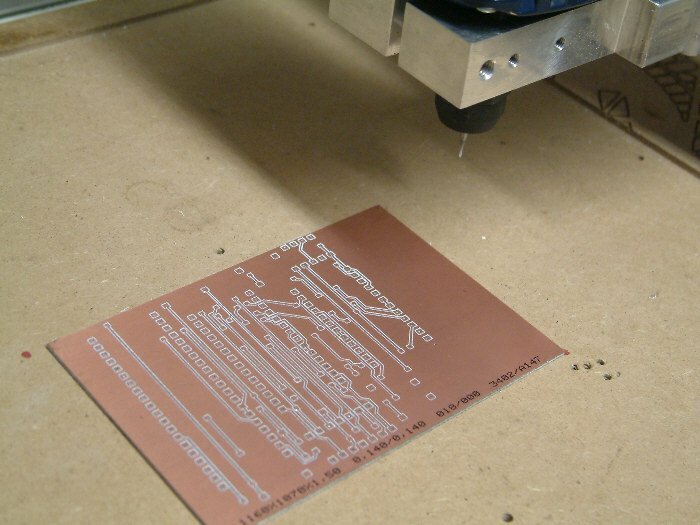 You can export the files for milling the circuit board directly from Target 3001. Use the pure drill-file and let it be processed by the machine. 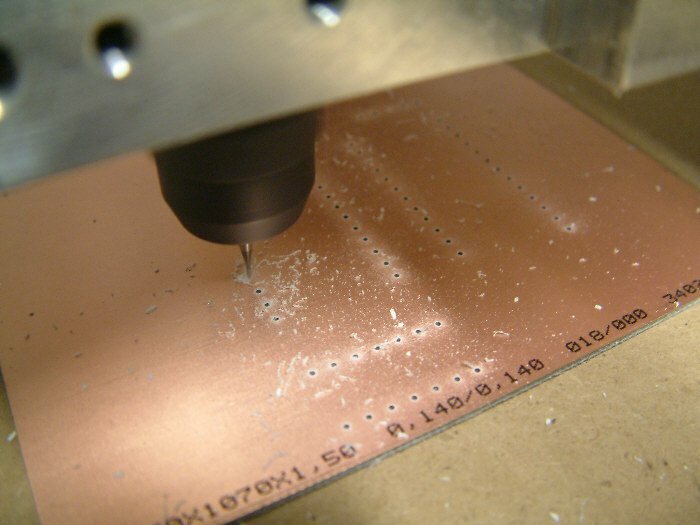 Applying the isolation-mill-file including the drill file as a PLT. 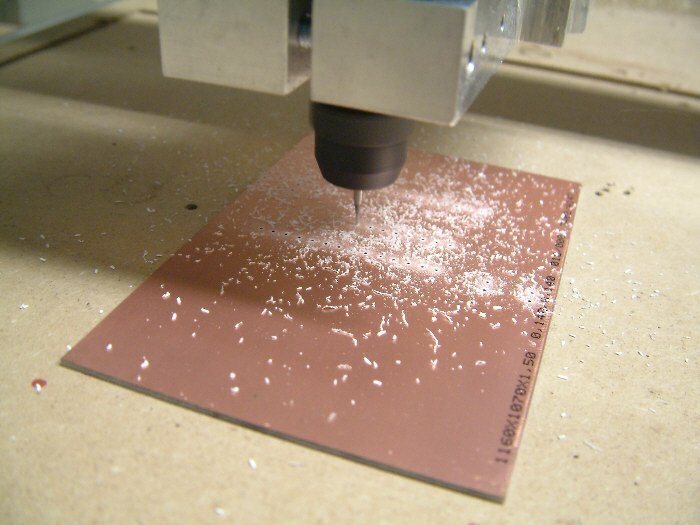 Using this option you need to determine if the machine should first drill and then mill or the other way round.